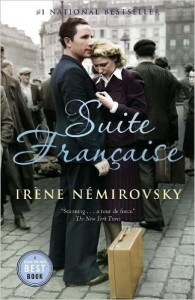 The novel starts in 1943, when the German army is occupying France. In Lucie-sur-Vionne, a small village near Lyon, the enemy has requisitioned everything that can be of use or that can make a profit. Because her father has been sent to a work camp in Germany, Céleste Roussel wants to be more involved in the Resistance, especially as her sister, her brother and his best friend are active members. When she happens on a family of Jews hiding in the woods from the Germans, she decides to conceal them in the attic of her house. Then Céleste starts to get friendly with a German officer in order to try to get information from him. Instead, she falls helplessly in love with him. Will she be able to sort through her loyalties and make the right decisions? Wolfsangel is the second book in the Bone Angel series. 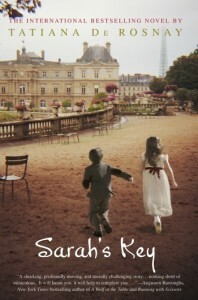 The novel takes place in the same village as the first installment, and Céleste Roussel is a descendant of its main character, Victoire Charpentier. Like her ancestor, she lives in L’Auberge des Anges, a house that has been in the family for generations. She also wears the same bone angel necklace that she inherited from her grandmother. Some say it is a lucky charm, others think it is evil. Either way, Céleste feels comforted by it. Wolfsangel is a heartbreaking and haunting story. Lucie-sur-Vionne is a fictional village based on Oradour-sur-Glane where a horrific tragedy happened in June 1944. I don’t want to spoil the novel, so I won’t go into details, but Liza Perrat does an incredible job of recreating the event for the reader. Moreover, the book sheds light on the realities of the German occupation, the activities of the French Resistance, and the brutalities of World War II. 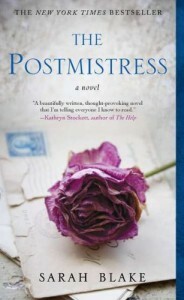 All through the story, the main character grows before our eyes, as she changes from a naive young lady into a courageous woman. Céleste’s sister, Félicité Roussel, is based on Elise Rivet, a Roman Catholic nun who helped the Resistance. All these historic facts enhance the story and make it all the more real. The only negative comments I have about Wolfsangel is that, for an uneducated girl, Céleste has a pretty elaborate vocabulary. In addition, the author didn’t need to tell us each time Céleste’s mother changes her apron. Other than that, this was a great read, and I highly recommend it. Wolfsangel was sent to me for free in exchange for an honest review. 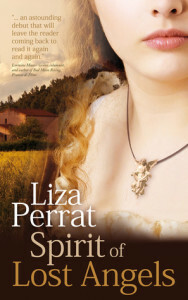 Liza Perrat is Australian but now lives in France. She met her French husband on a Bangkok bus. The author is a morning person. The Auberge des Anges is not a real place, but it is the link between the 3 books in the Bone Angel series. 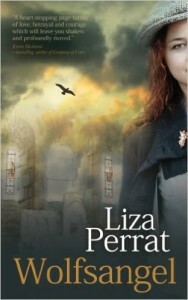 Liza Perrat created the author collective Triskele Books with 4 other writers in order to publish her work.